Foodies, ring in the New Year with outrageously tempting treat from Shakey’s Php2019 Meal Deal! There’s no better way to celebrate the New Year than getting your friends and family together for a delicious spread from Shakey’s Php2019 Meal Deal! Celebrate the year that was and welcome 2019 with a incredibly delightful selection of pizza, pasta, fried chicken and more! Start the year with a bang and enjoy the festive meal for only Php2019– that is massive saving of Php2446 if you dine at any Shakey’s Pizza restaurant near you. Our favorite pizza chain also lets you get Shakey’s Supercard for FREE if you avail the promo that runs until February 28, 2019. * Waffle cream may not available in select stores. The promo is available nationwide via delivery, dine-in and carry out transactions until February 28, 2019. 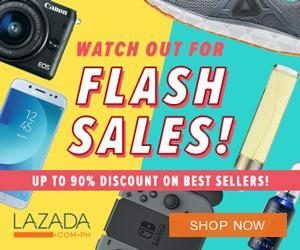 You may place your order now via Facebook Messenger, call 77-777 or #77-777 (toll-free for Globe & TM), use the Shakey’s mobile app or visit http://bit.ly/2019MealDeal. Save Php2275 for delivery transactions. 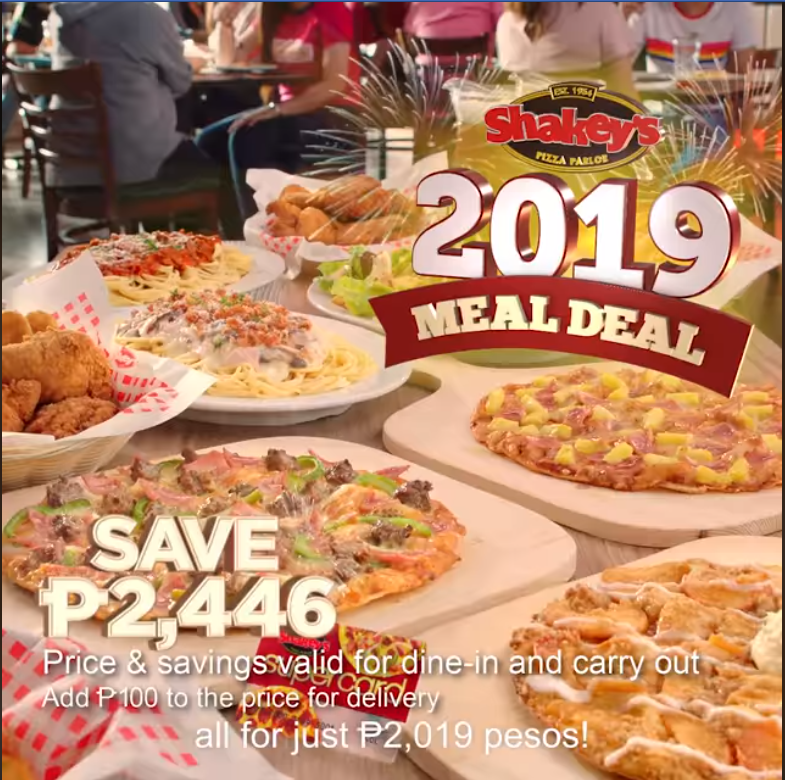 'shakeys philippines 2019 promo' - 'shakey\s 2019 promo until when' - 'shakeys 2019 promo' - 'shakeys menu group meals' - 'monster meal shakeys price' - 'shakeys 2019' - '2019 shakey\s meal' - 'shakeys menu' -Enjoy!